Democrats in Virginia are proposing a pro-abortion bill which would allow women to abort their child up until the exact moment of birth -- including while they're dilating. Eliminates the requirement that an abortion in the second trimester of pregnancy and prior to the third trimester be performed in a hospital. The bill eliminates all the procedures and processes, including the performance of an ultrasound, required to effect a woman's informed written consent to the performance of an abortion; however, the bill does not change the requirement that a woman's informed written consent be first obtained. The bill eliminates the requirement that two other physicians certify that a third trimester abortion is necessary to prevent the woman's death or impairment of her mental or physical health, as well as the need to find that any such impairment to the woman's health would be substantial and irremediable. 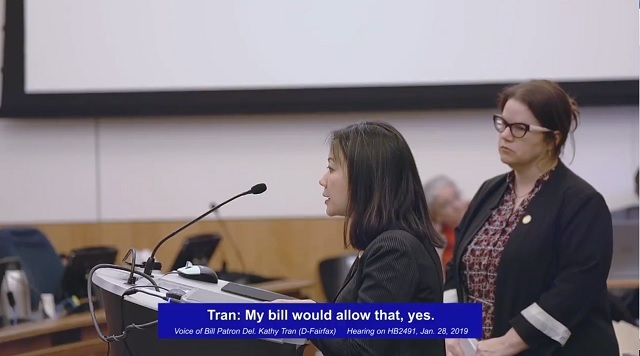 The bill also removes language classifying facilities that perform five or more first-trimester abortions per month as hospitals for the purpose of complying with regulations establishing minimum standards for hospitals. The state of New York just passed a similar bill allowing abortions up until the moment of birth. Governor Andrew Cuomo lit the spire on the "Freedom Tower" pink to "celebrate." Just so we're clear here: according to leftists using the wrong pronoun is an abomination but "aborting" a fully-grown baby while the mother is crowning is perfectly reasonable.